The English Apple Man is still very much involved with nursing Mrs EAM as she gradually becomes more mobile, my friend Vikram Singh Thakur again, comes to the rescue. His excellent review of his Interpoma visit is at the heart of this week's Journal. Machines - From good old platforms to octopuses (harvesting platforms) to tractors and sprayers of all shapes and sizes. Interesting display of anti-hail systems, frost protection including giant blowers and anti-hail guns (well that ends the weather man's career). 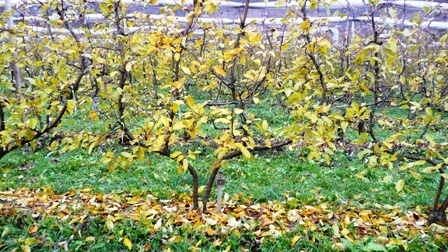 Nurseries from all over Europe displayed their "crazily" feathered young trees that could get you a good crop in third leaf. Varieties It appears, variety management has taken over the Apple industry in Europe in a big way as I saw more and more club varieties and number of clones on display were mind boggling. Yes, we now have a Gala that is almost chocolate coloured (DarkBaron). Gala Schnico Red and DarkBaron Gala (deep maroon in colour) were proudly displayed by various nurseries. 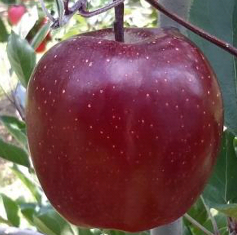 Growers noted that striped Gala is increasingly showing reversion issues so they were moving to blush clones. Support systems The compressed cement pole support architecture with interesting combinations of hail protection systems was impressive too. 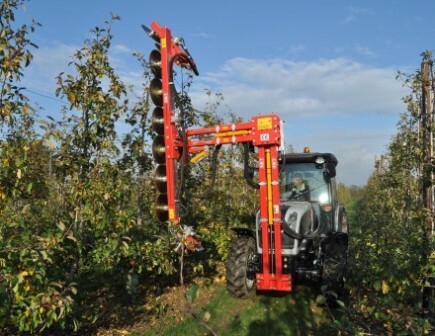 Cutting edge technology "The highlight in the trade show was the futuristic technology which I think will change the management of orchards - "The drones". It is early days but technology evolves faster than we can imagine. Innovative 'techies' are finding ways to merge sensors and drones for use in agriculture and making them more and more affordable. A model on display, priced at about 7,000 -10,000 euros could map an orchard and display at your screen back home, the sections with water stress and a need for irrigation. Another model of the drone fitted with a 12 litre tank could be sent in to target pesticide/foliar nutrition where it is most needed. The BLY, equipped with high resolution cameras, thermal infrared sensors and multispectral cameras, acquires data that quickly processed generate the vigor maps essential to locate water-stressed areas, areas with poor fertilization, information useful for different treatment. Where the data acquired from the satellite do not guarantee the right resolution and the right acquisition rate, the DRONE is the best tool for Precision Farming. 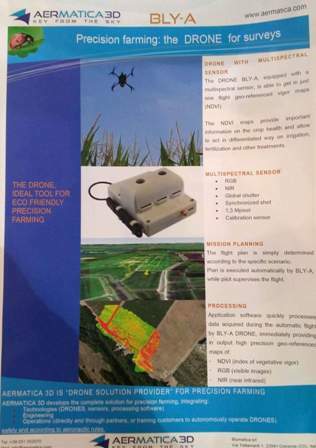 The BLY-A DRONE equipped with a distribution kit precisely releases, by using GPS, capsules of TRICHOGRAMMA to fight corn parasites.Planning software computes automatic flights, kit in flight on the DRONE releases the right quantity of capsules foreseen for each hectare. Every release is validated by a sensors system. At the end of flight a report of total issued releases is generated. I wonder what humans will be doing in 50 years? - I guess camping on Mars while machines run the earth! Tasting impressions Finally, we did some apple tasting as well and "Envy" was unanimously the best tasting variety. Red Chief Red delicious unfortunately tasted like "cardboard" as rightly pointed out by someone and there were nods all around. In a nutshell, I concluded that in economics is the mother of all sciences and arts. The survival of farming communities depends upon their ability to make the economics of orchards work. The Italian farmers demonstrate that through collaboration and industrial technology, we can still stay compettive and survive but there is no room to stand still, we continuously need to evolve or perish. From Vikram's experiences at Interpoma, we look at more of Simon Bray's visit with FAST to Interpoma and particularly the visit on the Friday to Dr Alberto Dorigoni at The Edmund Mach Foundation where he is doing very interesting work in orchard design, using Multi-stem trees and Fruit walls to culturally control vigour without the need for Plant Growth Regulators (PGR's). 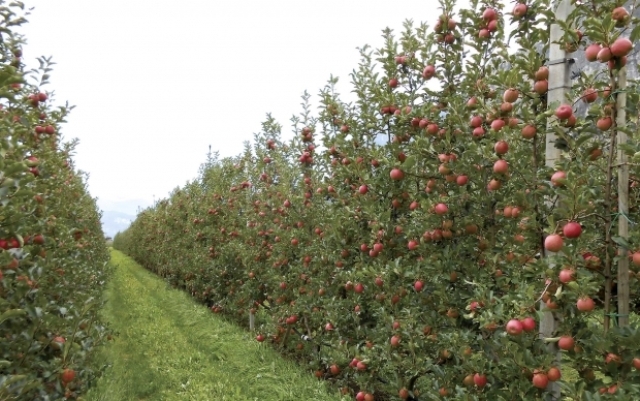 Simon said a Multistem orchard had produced 110 tonnes of Pink Lady per hectare in its 7th year. Dr. Dorigoni evaluates growing systems; he compares the current trend for tall trees favoured as the opitimum design for maximising yields - particularly in Bolzano where land values are astronomically high and growers believe growing trees higher is the most cost effective option. Dr. Dorigoni proposes his model for lower tree height matched with narrower row spacing and narrow tree profiles as a 'possible' superior system. 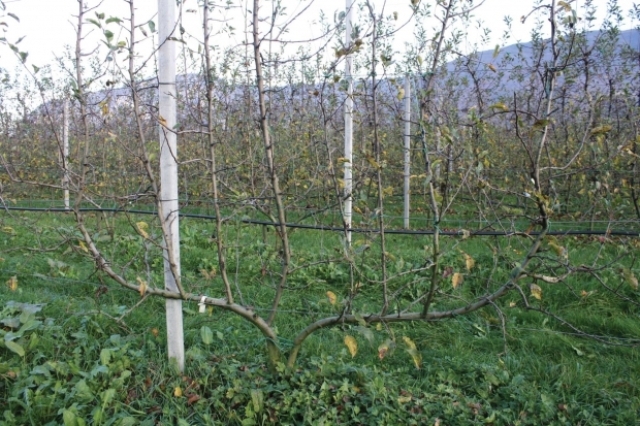 Dr. Dorigoni points out the additional cost of production managing the taller trees when pruning, thinning and particularly harvesting; with platforms costing £40,000 + he argues his model will still produce high yields of quality apples, but without the need for working 'off' the ground. The relationship between the tree height and spacing between the rows is the key factor. Genetic characteristics determine vigour, but shape and size of the trees is mainly determined by external factors. Dr. Dorigoni points out that management techniques can be used to create different canopies on genetically identical trees. He says there are various ways to 'de-structure' tree canopies and get rid of large branches. Double leader-trees and 'multi-leader' (ML) trees have a natural tendency to form a narrow and dense hedge with little or no secondary structure. This is because the vigour is distributed over more than one leader as the only structural wood. By increasing the number of leaders, the vigour is controlled as effectively as with a dwarfing rootstock. Dr Dorigoni was keen to point out and demonstrate that genetics is not always the answer and that by playing with different husbandry techniques trees with the same genetics can behave in completely different ways. 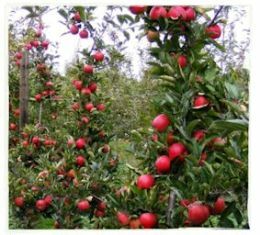 Alberto Dorigoni's vision of apple orchards of the future is one where high yields of high-quality fruit grow on thin fruiting walls, with much less labor devoted to pruning, training, and harvesting. If he could lower the cost of establishment, he'd like that, too. 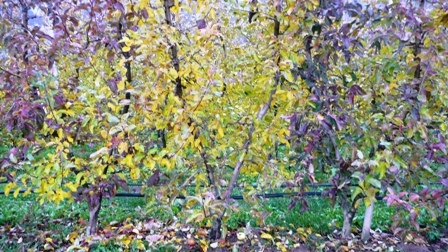 Dorigoni, a researcher from Trento, in Italy's most northeastern province, thinks multileader trees with two, three, or four main leaders growing from one trunk will, in fact, result in fruiting walls that look just like super spindle or tall spindle orchards, except there will be fewer trunks. Instead of 2,000 trees per acre as in super spindle systems or 1,300 in tall spindle systems, the number of trees could be reduced to 800 to 1,000. "The main drawbacks of traditional high density lie not just in the high economic investment, especially for the club varieties, but even more in the difficult management, which often requires limb bending, precise crop load control, and skilled pruning," he said. 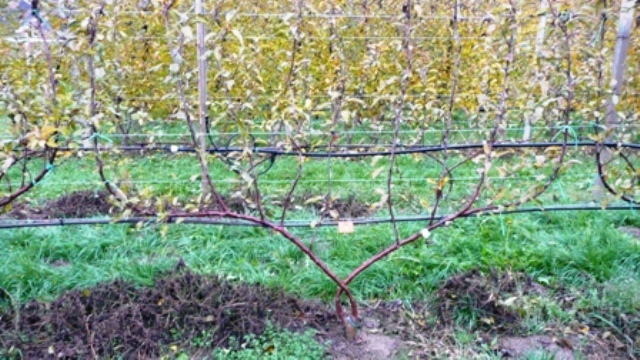 "It takes just small mistakes, like one year of low crop or bad pruning, to turn high-density super spindles into uncontrollable trees that only sophisticated techniques based on heavy hormonal treatments and severe root pruning can recover." "Increasing the number of leaders by splitting the canopy in two, three or four mini-spindles results in significant weakening of trees and a remarkable change in their architecture," he said. "The only structural wood left is given by the vertical leaders, while all remaining wood is short, does not need bending, and is covered with flower buds near the trunk." 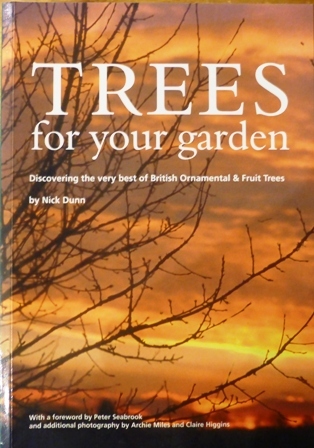 "Just when we thought we had reached the optimum tree management system; 'tall narrow hedge rows' another tree system comes along - Dr. Alberto Dorogini appears to have taken another 'quantum leap forward' by going back to less intensive tree numbers, but with an imaginative tree shape.........a simple idea.....watch this space"
There are a number of excellent apple & pear books worthy of consideration as Christmas Presents. 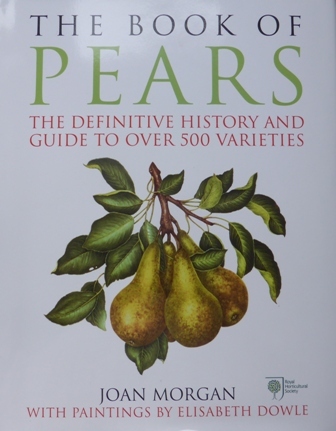 The English Apple Man recommends some ideas for Christmas presents for anyone interested in apples & pears. 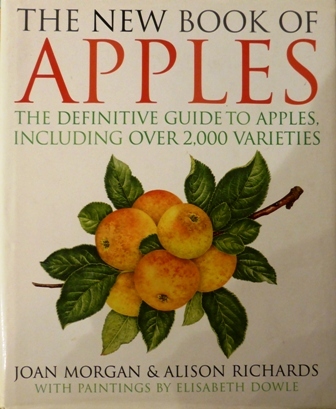 The Book of Apples by Joan Morgan & Alison Richards is now a collectors piece, but used copies can be bought for £14.14 on Amazon (limited supply) This book (1993) has become a classic - a comprehensive world-wide survey of apples. 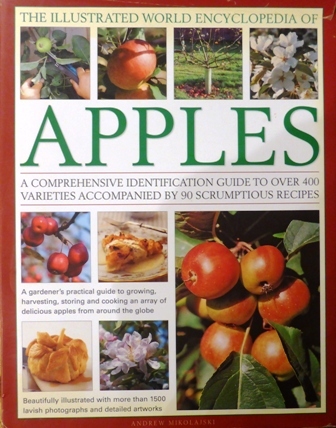 Joan Morgan is probably the only person alive to have tasted and annotated every known apple variety in Britain (and many others), and her scholarship, knowledge and evident love of apples shine through these pages. 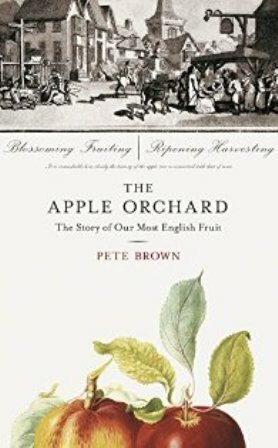 Beginning with a fascinating history of apple-growing from earliest times, she describes the multiplication of varieties which culminated in the golden age of apples as a dessert fruit in the 19th century. 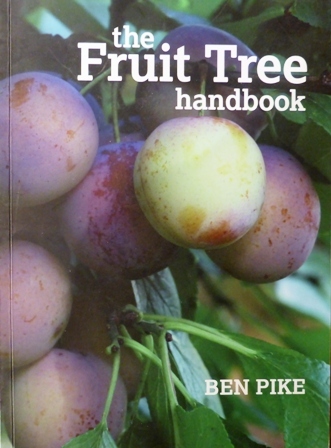 There is a practical section on growing apples and eating them - the characteristics of different varieties, growing, training and pruning, pest protection, serving and cooking. 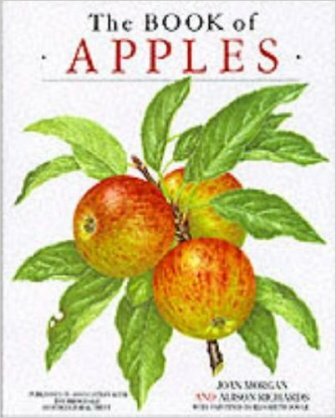 And finally there is a complete annotated directory of the National Apple Collection at Brogdale, the largest of its kind in the world. Also included are useful lists of apple collections throughout the world, and of nurserymen supplying individual varieties. The book is illustrated by 36 magnificent colour paintings by Elizabeth Dowle, specially commissioned for this book, as well as numerous other illustrations in line and halftone. 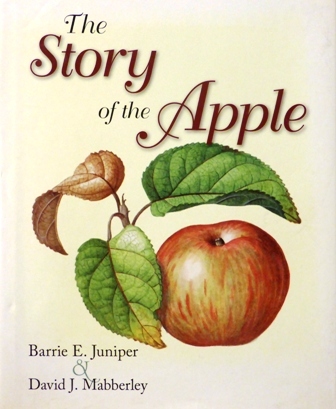 - The 'Story of the Apple by Professor Barrie Juniper is another classic and should be in every apple aficionado's collection....it is available on Amazon from £47.32 to £998!!! 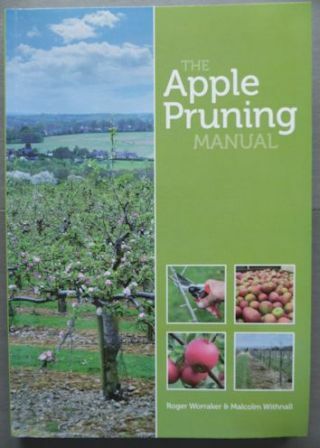 The 'Apple Pruning manual written by Roger Worraker and Malcolm Withnall is highly recommended by The English Apple Man.